Sangamo BioSciences, Inc. issued a press release today announcing that Elizabeth Wolffe, Ph.D., Sangamo's senior director of corporate communications, will give a company presentation at the 3rdAnnual Regen Med Partnering Forum, part of the Stem Cell Meeting on the Mesa to be held October 14-16, 2013, in La Jolla, CA. Organized by the Alliance for Regenerative Medicine (ARM), the California Institute for Regenerative Medicine (CIRM) and the Sanford Consortium for Regenerative Medicine, the 2013 Stem Cell Meeting on the Mesa is a three-day conference aimed at bringing together members of the regenerative medicine industry with the scientific research community to advance stem cell science into cures. The Regen Med Partnering Forum, held October 14 &15 at the Estancia La Jolla Hotel, is the only partnering meeting organized specifically for the regenerative medicine and advanced therapies industry. A live video webcast of all company presentations will be available here and will also be published on ARM's website shortly after the event. 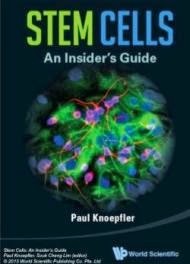 For more information please visit http://stemcellmeetingonthemesa.com/ , Investors and media should contact Laura Parsons at lparsons@alliancerm.org.